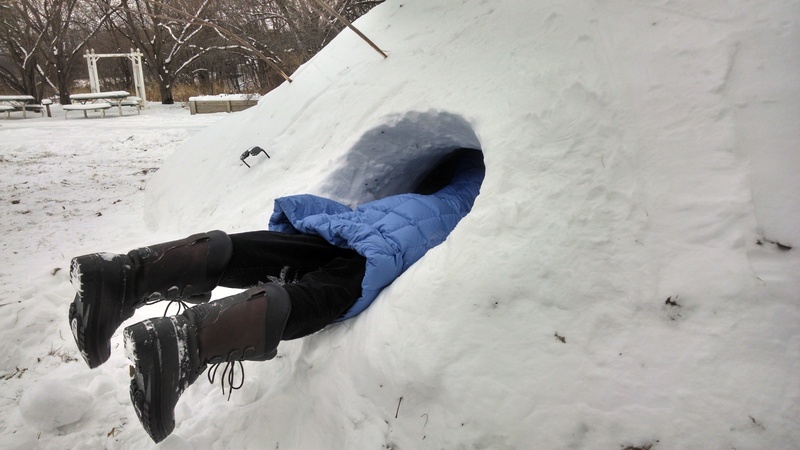 A fun way to stay warm in the winter is to build small, all-natural structures that block the wind. 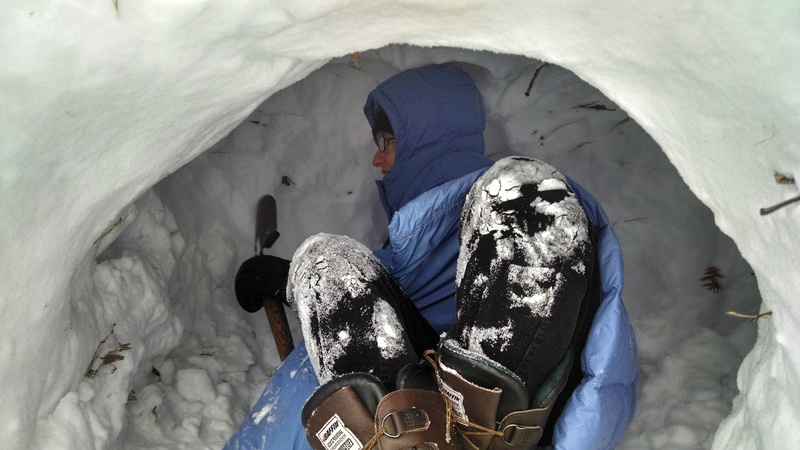 That way, whenever you’re out hiking and exploring, you have a cozy den as a destination to snug up inside. 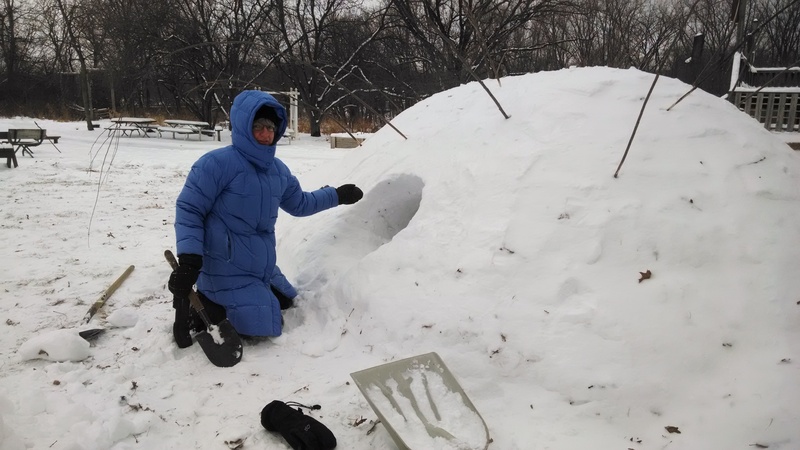 This quinzee is easy to find if you’re at the Indian Creek Nature Center. 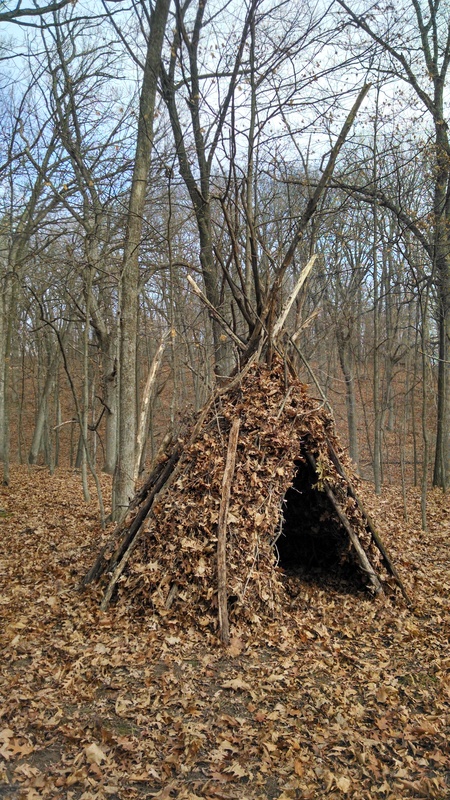 The leaf tipi is also at the Nature Center-you’ll just have to go on a longer adventure to discover it.